Most honeybees one might encounter in the US are so gentle you could actually pet them if desired. 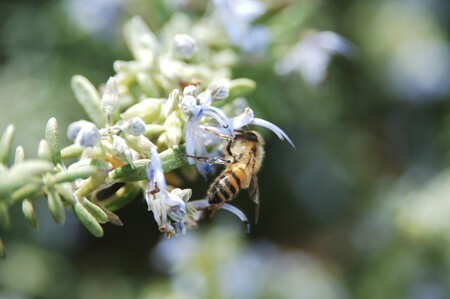 However, in certain states, this isn’t something to try due to the fact that Africanized honeybees, hybrids of African and European bees, can be found all throughout the southwest and other parts of the South—California, Texas, Nevada, New Mexico, Arizona, Oklahoma, Louisiana, Alabama, Florida, and Tennessee. Being called ‘killer bees’, these bees tend to strike fear, but because they aren’t going away any time soon, the question we have to ask is this: can we learn to live with or even use Africanized honeybees in the US? Since they obviously do not originate in the US, a review of how these hybrid bees came to colonize North America is necessary. Of the 20,000 identified bee species, only 40 bee species are known for the production and storage of honey and for housing large colonies and a single reproductive queen in wax nests. The original African species likely originated in eastern Africa about 11 million years ago, with the first European honeybees, on the other hand, being brought across the Atlantic to the bee-less New World two years after the Pilgrims landed in 1620. By the early 1800s, escaped colonies had spread west to the Rockies, and in the 1840s, Mormon pioneers brought hives to Utah, with the first honeybees reaching California a decade later. Throughout the world, Apis mellifera, the European honeybee, has had to adapt to so many environments that scientists have identified 26 biologically distinctive subspecies: Italian, Carniolan (Austrian), Caucasian (Turkey/Russia), Russian, the Buckfast, etc. How Apis mellifera came to breed with African bees goes like this—in 1956, Brazil authorized an agricultural researcher to import African honeybee queens from Tanzania. The goal was to see if geneticists could improve Brazil’s honey production by hybridizing the better foraging African bees with local European subspecies. Several of the African queens escaped and did start breeding with local honeybee drones. The hybrids, referred to as Africanized honeybees, thrived and spread rapidly at roughly 300 miles per year. They proved to be more aggressive than their European kin, commonly invading hives, killing their queens, and taking over territories. Today, South and Central America have established populations of Africanized bees in every country, just like some states in the US. With these “invading” bees, there are many misconceptions. For one, the amount and type of venom produced by Africanized bees is equal to that of other, gentler honeybees. And they aren’t roaming around looking for things to sting, though they are much more dangerous than European subspecies—they’re more easily provoked to attack perceived threats, they attack in greater numbers, they pursue fleeing intruders much farther (1,000 yards) before ceding chase, and on average, Africanized bees kill one to two people a year. At this point, it’s unclear how far north the bees will proceed, though hybrids are known to not handle cold well, which means permanent populations are likely confined to the South. Something to note, however, is Florida beekeepers who’ve learned to safely manage Africanized subspecies are having significantly greater honey production and effective crop pollination. Despite the risks and their aggressive tendencies, the hybrids’ potential benefits could open the possibility of their acceptance.